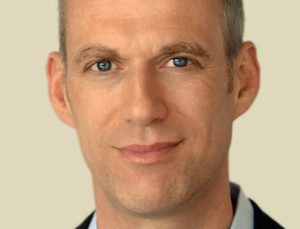 Kai Hattendorf, UFI CEO/ MD. 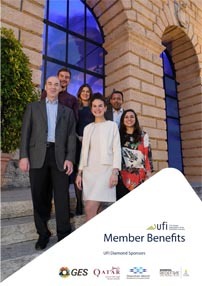 Written by Kai Hattendorf, UFI CEO/ MD. Amidst a climate of political tension, protectionism and false news globally, economic growth is slowing down. The latest IMF forecasts point to rougher times ahead for the global economy, citing protectionism and new tariffs as a major cause. The US/China tariffs alone are calculated to reduce global economic growth by 0.4% in the long-term. Even without this additional burden, growth has become difficult to sustain, especially in the mature exhibition markets: CEIR data shows that, in the U.S. alone, our industry has seen below par growth compared to the U.S. economy as a whole in seven out of the last eight quarters. It comes as no surprise that, whatever survey you look at, growing numbers of U.S. organisers are looking into doing business outside of their home country. In parallel, 2018 has seen the first ever time when a Chinese organiser has taken a majority share in a trade show outside of China. We will see players from the two largest domestic markets in the world looking into options abroad. All of this offers new opportunities to partner between organisers from different markets, and to capitalise on joint interests. Ten years into the mass adaption of social media and the rise of the smartphones, it is time to end the discussion about the role of digitisation in our industry. Today, digital is simply everywhere – on the show floor, in the show manager’s office, in the customer’s exhibition experience. As digital has become as common as electricity, it has become a commodity (just as show security, by the way). The adoption of the European Union’s General Data Protection Regulations (GDPR) is leading us to a “new normal” in the way that we as an industry are dealing with customer data and are building up the in-house resources to achieve that. For many years, the “show” in this very word “show floor” was understood to be about the exhibitors showcasing their products and services. To the millennial and post-millennial generation, however, it is just as much about the “show” that a show organiser puts on around the show floor itself. “Festivalisation” is a buzzword, and will rightly disappear again. But we are well advised to listen closely to our customers and their call for very personal and individual experiences when they attend an exhibition. As the overlap between tradeshows and congresses/conferences continues to grow, there are opportunities to deliver that – and there is a risk for those who don’t pay attention to these shifting demands. After polling more than 13,000 show visitors globally for the UFI/Explori Global Visitor Insights, we have a solid understanding of visitors’ changing expectations. Many visitors are reporting “trade show fatigue” (less so in developing markets than in developed markets, and with the highest share – one quarter – in the Americas). Visitors say that their interest in other channels such as online marketplaces and conferences will likely rise significantly relative to trade shows. Organisers and venues alike are well advised to never forget to deliver excellence in terms of the basics as visitor pain points are surprisingly simple. The top five are: seating, catering, queueing, parking, and quality of the exhibitors. Organisers can go a long way to pleasing visitors by getting these five factors right. We have seen an intense level of M&A activity in the past two years – shaking up our industry in the process. In addition, more and better venue space around the world is being built, as UFI’s World Map of Venues shows. In 2019, we are expecting the opening of what is poised to be the world’s largest exhibition venue complex in Shenzhen. Billions of dollars are flowing into our industry. And all the signs right now are indicating that, despite the less positive economic outlook, our industry remains attractive for investors looking for solid, mid-term returns of their investments. The mix of players in the industry remains varied: listed companies, publicly owned organiser/venue operator enterprises, family businesses, entrepreneurs and government bodies. The growing number of “out of the industry investors” is driving prices to new heights, but it remains to be seen whether all these bets on growth will be successful. Our industry’s reputation, however, is certainly benefitting from this trend. It is helping our stakeholders to better understand the economic impact that every show, every venue creates every day.